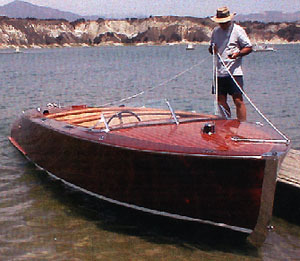 Nothing causes aficionados of classic mahogany runabouts to salivate more than the sight of the famous barrel-stern examples built by Chris Craft long ago. For those unfamiliar with the type, the stern is a semi-circular or elliptical like half a barrel, with a lovely seamless blending of the tumble-home topsides into the deck, side to side. 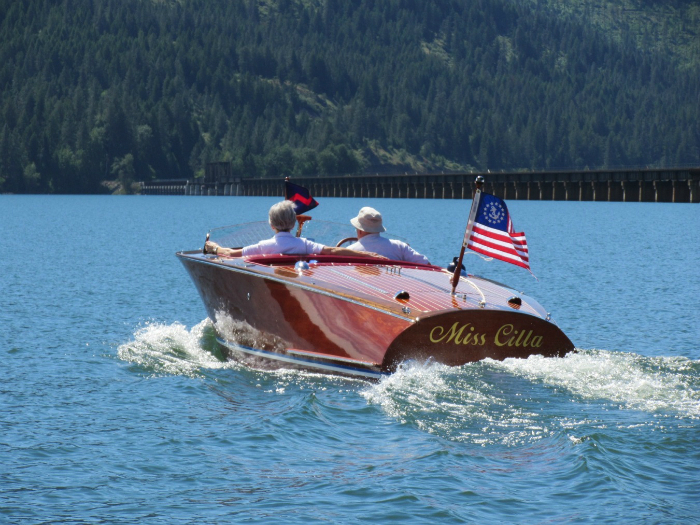 Of all the half-dozen or so sizes built by Chris Craft, the 19' Custom Runabout model produced between 1939 and 1942 seems to generate the most interest today. Yet with purportedly less than 400 ever produced, any remaining boats given care and restoration trade hands for tens-of-thousands of dollars if at all. 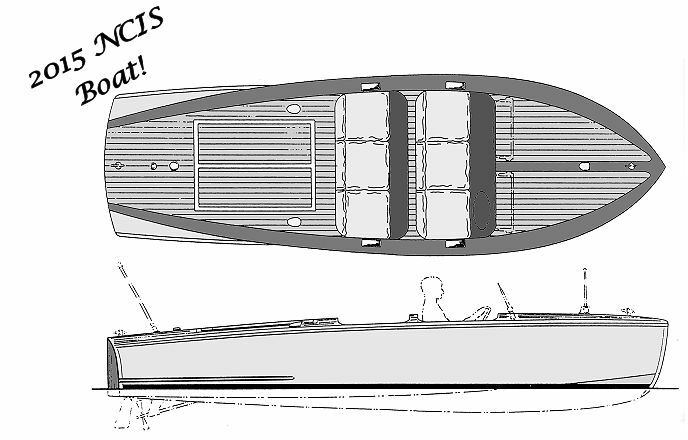 But now you can build your own near-replica with our carefully-detailed Barrelback 19 design for a fraction of the cost and actually end up with a better boat. Beyond its authentic styling is a modern wood-epoxy hull that's honestly easier to build. Unlike old boats that suffer from leaking seams and flexing hulls, ours come out stiff, tight, and strong, yet lightweight. Our system of double diagonal ply/veneer planking requires no rabbets to cut, no steam bending, no caulked seams, and no lofting, yet looks like the genuine article and is much easier to maintain. Engine recommendations listed apply to the 19' option. But if you want to use a small block V-8 up to 290 cubic inches, we recommend building the boat at the 20' option included in the plans. 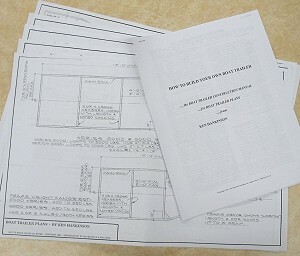 Plans with instructions aimed at the amateur craftsman include all the details along with material listing, fastening schedule, and resource list to help you track down what you need. Also provided are FULL SIZE PATTERNS for the sawn frame and backbone members so lofting is not required. NOTE: Length option is done by respacing frames proportionately. These procedures are covered in the instructions, and the option comes automatically with the plans - no need to specify on your order. Clark Geffe's BARRELBACK 19 takes shape in his Washington workshop. 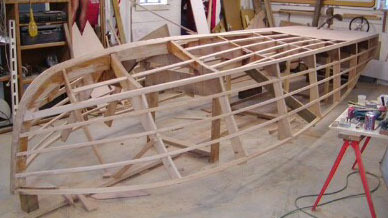 Backbone member contours (frames, stem, transom, etc.) are all provided by FULL-SIZE PATTERNS so that no lofting is required. 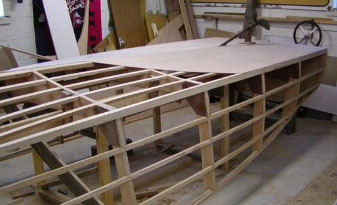 The simple building method is also fully detailed on the plans and consists of a simple "jig" integral with the boat's motor stringers for accuracy and strength. 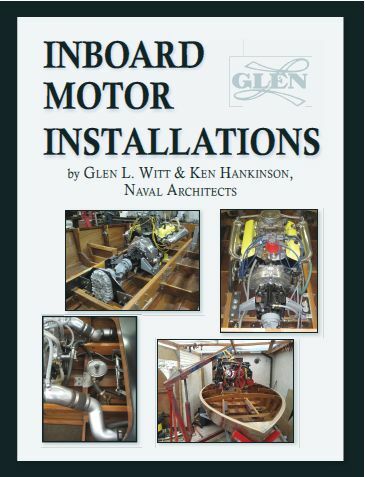 Nobody has more classic runabout design experience using modern amateur-proven methods than Glen-L Marine Designs and Ken Hankinson. 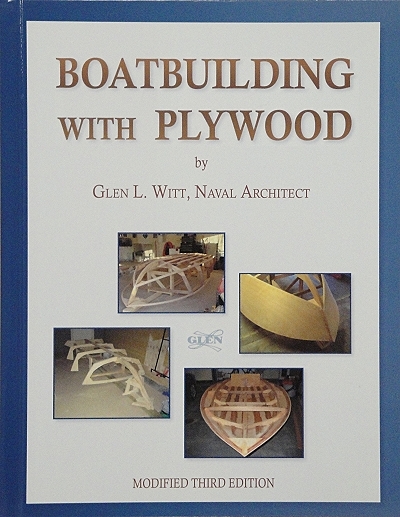 The proof is in the boats themselves by builders who typically have never built a boat before. 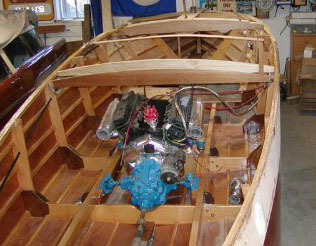 With the hull completed, Clark Geffe has installed a small-block V-8 prior to closing in the hull with decks and cockpit. 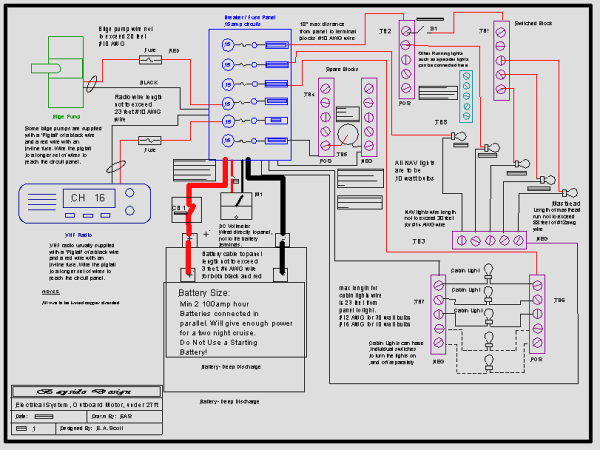 It's all discussed in our comprehensive instructions that cover all aspects of the project including Material List, Fastening Schedule, and Resource List for supplies and equipment sources. 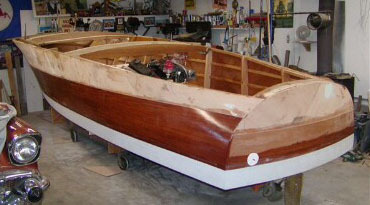 Note the gorgeous and truly authentic transom/stern contours that few designers can emmulate the way Ken Hankinson has done here, AND who can also provide the proper methods making it easy for the novice to duplicate such a sought-after appearance with consistency as the photos on our site show. The gorgeous BARRELBACK 19 in the above photos was built from our plans by James Subject, a retired dentist from California. 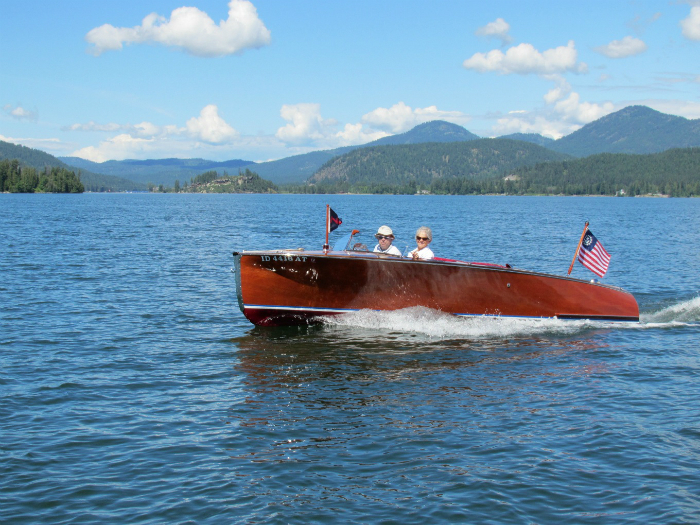 Only a knowledgeable expert could tell the difference in Jim's boat and a genuine original production-built "barrelback" from circa 1940's - a testament to our design as well as to Jim's craftsmanship and attention to detail. Perhaps more important to Jim is that his boat will be superior in every way, and without the usual problems associated with an "original". 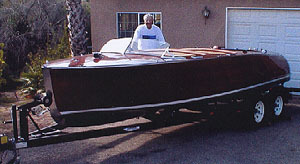 We're not sure, but we think Jim built the 20' option, which makes a better "fit" than the standard "19" to the muscular 350 Mercruiser MAG MPI motor that Jim installed and coupled with an 8-degree down-angle velvet drive transmission. Says Jim, "It's fast! And smooth". Built by Gary Schoenfeldt - "Ken Hankinson's plans were great and easy to follow. I'm very happy with the way it turned out." 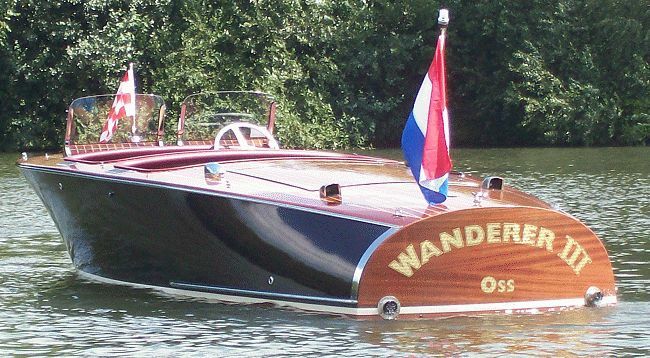 Can you build your own Mahogany Runabout? Read our article to find out. Hull weight (approx.) 875 lbs. Cockpit size - L x W - Fwd 2'-9" x 5'-2"
Cockpit size - L x W - Aft 2'-5" x 5'-2"
(*) 20'-1" length recommended if using V8. 290 cu. in. max for 19'-1" length. Hull type: Cold-molded veneers and plywood. Convex vee bottom with flaring sides and barrelback stern. Power: Centrally located inboard marine engine or automotive conversion, 150-290 cu. in. Trailer: Designed for use with Glen-L Series 2300/2800 boat trailer plans. Materials for fiberglassing the outside of the hull using System Three Silver Tip no-blush Epoxy. Best for a bright finish. CANNOT SHIP OUTSIDE OF US - within US by ground only. 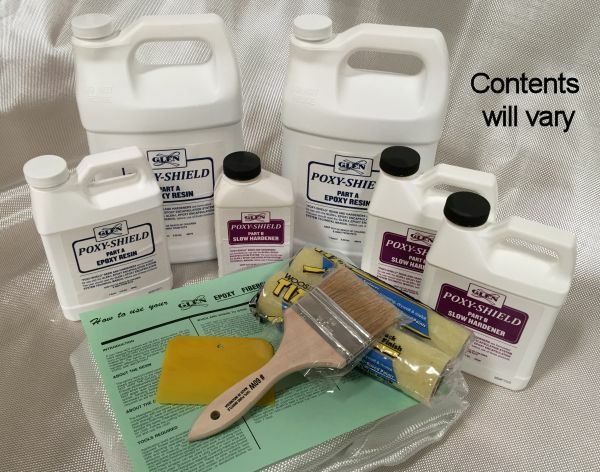 Materials for fiberglassing the outside of the hull using Glen-L Poxy-Shield Epoxy. For boats 17' - 23' - Downloadable PDF version. Plans are to scale when printed on 11" x 17" paper. Complete presentation of Cold-Molded process, from choosing a design through engine installation & wiring to launch.